Northeast Ohio’s rich history can often be traced in the homes and buildings erected by those who created a booming manufacturing, textile, and banking industry a century ago. Today, a dedicated group of historians, architects, and construction companies works to preserve those structures and the stories behind them. This year’s event marked the 10th year that CRS and AIA Cleveland have come together to host the Celebration of Preservation. The celebration was once again held in Playhouse Square’s Ohio Theatre (returned to its 1921 beauty in 2016 with a $5.5 million renovation). Playhouse Square’s Ohio Theatre was returned to its 1921 beauty in 2016 with a $5.5 million renovation. Thirteen awards were handed out this year for properties ranging from bank buildings to textile industry warehouses to turn-of-the-century homes. Nominations are collected in January, and a jury of four representatives from CRS and four representatives of AIA meet in April to review the projects, says Allen. Residences of note. Three residential homes—and the people who worked on them—received awards. 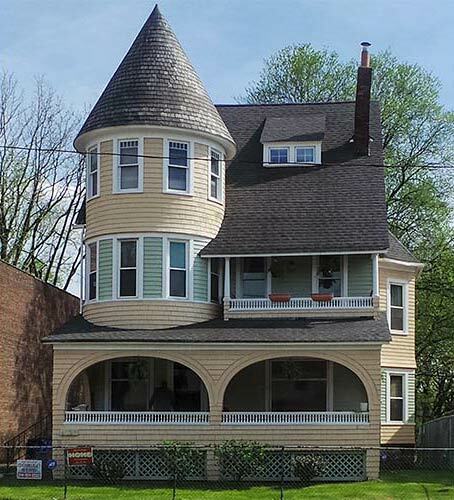 Jamain and Kesha Owens completed renovations on a Forest Hills home last year, earning a Heritage Home Program award, as did the Pease-Penman House—an 1881 Queen Anne style house where a turret was added in 1889. Christopher and Amelia Penman have spent the last 30 years restoring this unique home on Miles Avenue. The house was originally owned by Oscela Pease, a shopkeeper who served with the 177th Ohio Infantry regiment during the Civil War. The Pease-Penman House on Miles AvenueA third home at 10113 South Boulevard (in the East Boulevard Historic District) received an award of merit for Neighborhood Impact. The 1903 home was designed by Cleveland architect George Kauffman in a style that blends romantic revival of the Victorian period and the Arts & Crafts motifs of the early 20th Century Colonial period. As part of Cleveland’s Neighborhood Stabilization program, the Cuyahoga Land Bank bought the South Boulevard property that had been vacant for a decade and worked with CarTeCor Management to repair the cedar shake siding, windows, and doors; paint the exterior; and update the interior to meet Enterprise Green Community Standards with energy-efficient appliances, insulation, and updated finishes. 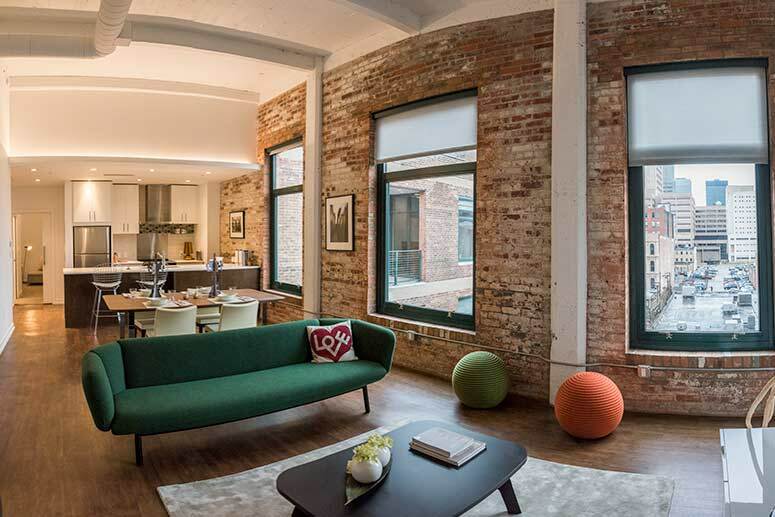 The Lofts at Lion Mills in Ohio City also received a merit award for Neighborhood Impact. The award recognizes the joint efforts of the Detroit Shoreway Community Development Corporation and Marous Brothers Construction to convert the former Lion Knitting Mills (a producer of military attire and sweaters) into 35 affordable living units, while also maintaining the historic integrity of the factory. Marble RoomTotally creative transformations. 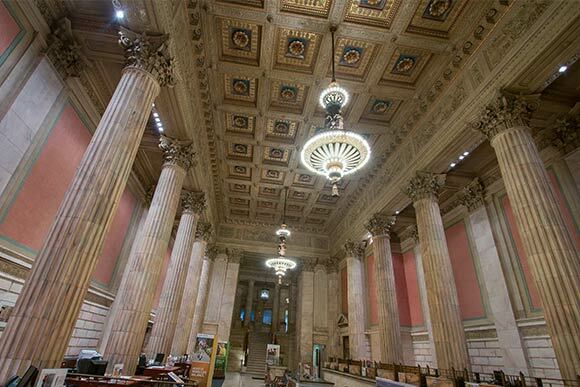 Millennia Companies, Sandvick Architects, and Erbach-Waddell Architects formed the team behind the renovation of Marble Room Steak and Raw Bar within the Garfield Building’s Guardian Bank hall. 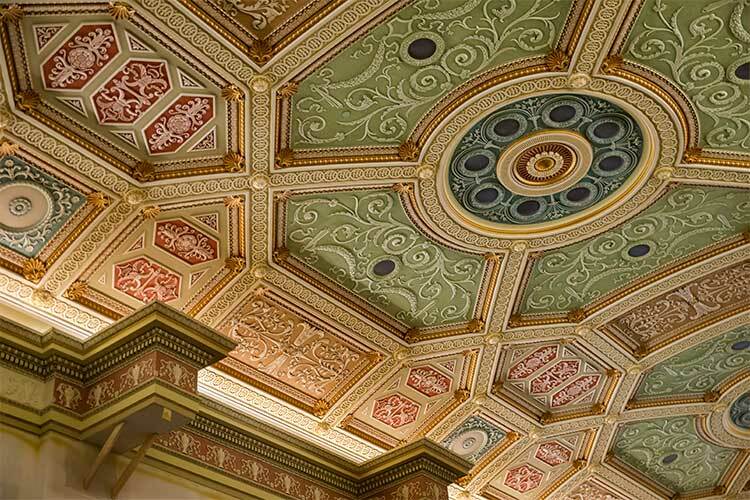 Their work earned a merit award for creative adaptation of a significant interior, while the restoration of the Garfield’s exterior will also earn a façade renovation award. The 1893 Foundry Equipment Complex—originally a metal foundry—has been transformed by Columbus Road Foundry, LLC and Kaczmar Architects into The Foundry Rowing and Sailing Center. The recipient of an Innovative Adaptive Use Award, this $9 million project now serves Cleveland’s youth who are interested in fitness, rowing, and sailing. Worthington YardsArtful apartments. Meanwhile, the Dalad Group, KA Architecture, and William Ragaller Architecture have earned the Excellence in Adaptive Use award for Worthington Yards in the Warehouse District. The team facilitated the conversion of the former hardware and industrial supply business, George Worthington Company. The 1882 building renovation included exterior façade renovations, an insulated roof, new windows, and preservation of the original doors on the loading docks. The property now houses four apartment buildings and a public art and gallery. The La Salle Theatre has been a landmark in North Collinwood since its construction in 1922, but closed in 2008. Northeast Shores Development Corporation worked with LDA Architects to embark on a multimillion dollar campaign to transform it into La Salle Arts and Media Center, a mixed-use complex for the arts, retail and apartments. The endeavor earned the award for Historic Renovation of a Local Landmark. The VeronikaOther worthy projects. On the retail end, Scalish Construction, along with Architecture Office, transformed a 1915 Lakewood building into the Veronika, with retail space on the first floor and apartments on the second floor. 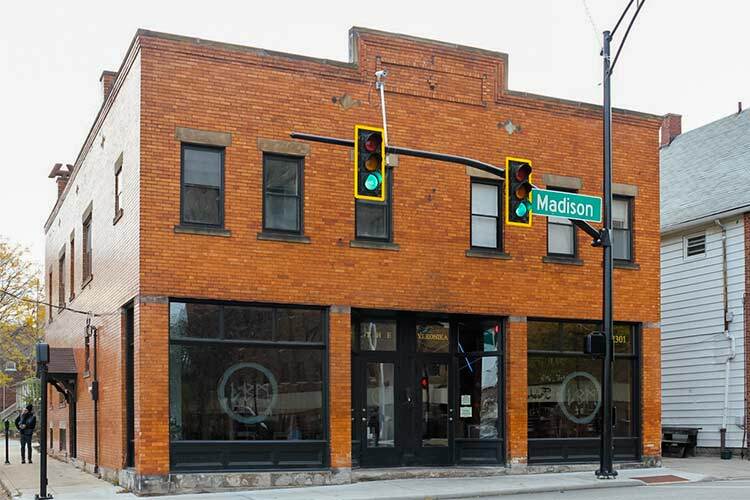 The impressive plate glass windows, glass doors, and custom woodwork earned a Storefront Renovation award. In 2009, the 1904 late Gothic Revival style St. Philomena Church in East Cleveland was scheduled to be closed. But thanks to a merging of churches, St. Philomena was saved when it became a part of the Communion of Saints Parish. The church and the parish worked with Metropolitan Architecture to earn the Stewardship a Sacred Landmark award for saving the stained glass, marble altar, hand-carved woodwork, and tile mosaic of the historic church. Three additional preservation projects in Massillon, Kent, and Canton were also recognized at Tuesday’s event. The late judge Raymond Pianka was honored with the Robert C. Gaede Lifetime Achievement award for his dedication to restoration and preservation in Cleveland. The award is CRS’ most prestigious honor, given annually to an individual who goes above and beyond in historic preservation efforts. “He had a passion for preservation,” says Allen. Pianka died in January 2017, and his wife, Karen, and daughter, Kristen, will accept the award.